Aloo Gobi is a popular spicy and flavorful dish made with potatoes and cauliflower. 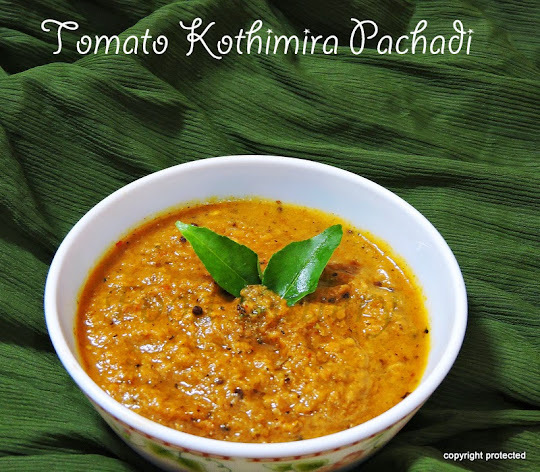 It is finger-licking delicious and goes very well with rotis, naan, phulkas or any pulao. 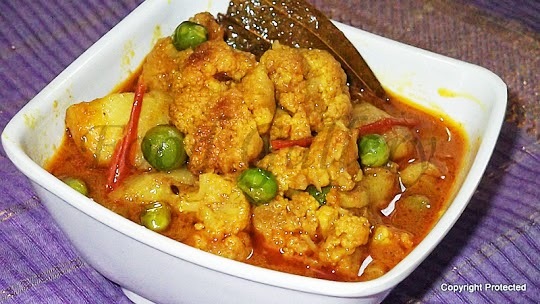 Here is the recipe for Aloo Gobi..
Cut the cauliflower into small florets, wash and blanch them by putting them in boiling water and letting them remain in the water for a few minutes, then drain the water completely. Add a little bit of turmeric and salt to the potato cubes and mix well. Heat oil in a kadai and fry the potatoes till they are golden brown, remove and keep aside. In the same kadai, add a little bit more oil and add bay leaf and finely chopped onion. Fry till the onions turn light brown. Add turmeric and mix well. Then add ginger-garlic paste, jeera powder, chilli powder, tomatoes and salt and mix well and saute for a few minutes till it gives a good smell. Now add the fried potatoes and cauliflower, mix well and add enough water to cover the veggies, close it with a lid and cook on medium flame till the veggies become soft. Check for salt if required. Add garam masala powder mix well and let it cook for a minute more and switch off. Try this with rotis, parathas, or any pulao. Its so delicious!